Obstetricians and gynaecologists are faced with adhesion-related problems daily. We are no strangers to challenging caesarean sections, lengthy gynaecological surgery and even inadvertent enterotomy related to pre-existing pelvic adhesions. Subfertility and tubal pregnancy secondary to tubo-peritoneal adhesions are not foreign to us either. Indeed, adhesions develop in 60–90 per cent of patients who have undergone gynaecological surgery.1 Nevertheless, the real extent of adhesion-related complications and financial burden on the healthcare system are still largely underestimated. Figure 1. Application of Interceed® barrier film over the suture line of a laparoscopic myomectomy. 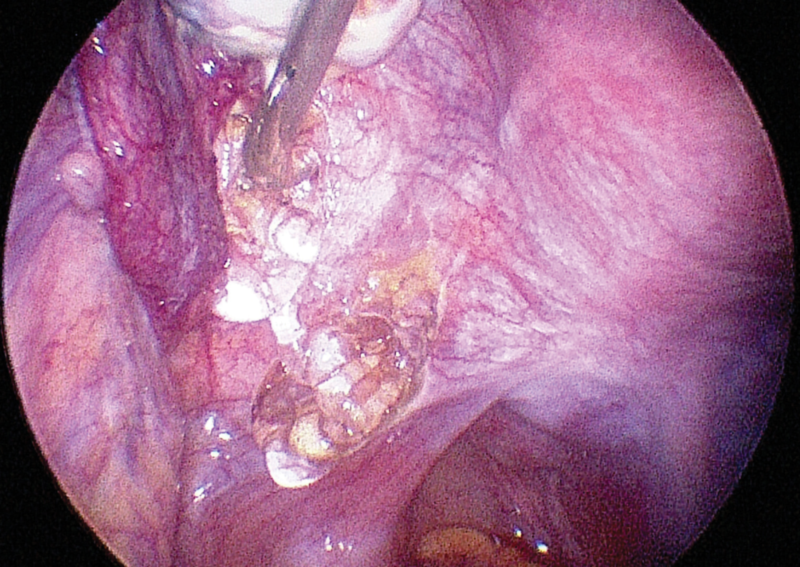 During the excision of nine fibroids in this patient, the surgeon also endeavoured to reduce tissue trauma and foreign body reaction by multiple surgical measures: limiting the number of myometrial incisions, choosing a monofilament suture that has lower bacterial adherence than braided sutures, and minimising exposure of suture material beyond the uterine serosa. (A) Before myomectomy. (B) After repair of myometrial defects, prior to cutting of the barbed monofilament suture. (C) Barrier film over suture line. While adhesions may cause few or no detrimental effects to some patients, in a considerable proportion of cases there are short- and long-term clinical consequences, resulting in patient morbidity and a mounting expense. Adhesions are responsible for peritoneal infertility in 15–20 per cent of women.3 Besides, for patients undergoing subsequent surgery, adhesions pose an important complicating factor that significantly increases operative time and difficulty. Astonishingly, about one in two of the admissions for small-bowel obstruction are related to adhesions from previous gynaecological surgery, especially total abdominal hysterectomy.4 The relationship between pelvic pain and adhesion is generally recognised, although their exact pathophysiological connection is still a heavily investigated topic. In the UK, the financial burden of postoperative adhesions on the National Health Service (NHS) has been strikingly illustrated by the Surgical and Clinical Adhesions Research (SCAR studies).6 After laparotomy, around one in three patients (34.6 per cent) had at least two admissions in the following ten years for adhesion-related problems. The direct cost of readmissions related to adhesions in the first year after lower abdominal surgery was estimated to be £24.2 million, which increased to staggering £95.2 million ten years after the initial surgery. Although an in-depth discussion of pathogenesis is outside the scope of this article, an overview of the mechanism of adhesion formation helps us to understand adhesion-reduction strategies. In simple terms, adhesions are a fibrinous band formed from an aberrant healing process. Once the peritoneum is disrupted by inflammation or surgical trauma, the mesothelial layer is exposed and a fibrin matrix is formed in the following three to four days. Playing a key role in adhesiogenesis, this fibrin matrix is a product of macrophage migration, local inflammatory reactions, exudation and fibrin deposition. If the fibrin is broken down in a few days, the injured area will be covered by normal mesothelial cells and healing occurs without adhesion formation. Conversely, if fibrinolysis does not occur for more than five days, fibroblast proliferation invades the fibrin scaffold and angiogenesis starts – this is how adhesions are formed. Targeted at various points of the adhesion formation pathway, a number of adhesion-reduction products and strategies have been developed. It is important to remember that no commercially available products can be a substitute to good surgical technique. Minimising the initial surgical trauma is the fundamental determinant in adhesion prevention. In particular, adherence to principles of microsurgery, gentle tissue handling, careful surgical dissection that respects anatomical tissue planes, good knowledge in electrosurgery and precise application of energy device are all imperative in achieving meticulous haemostasis while minimising tissue trauma, devascularisation, desiccation and ischaemia. Furthermore, foreign body reactions should be reduced by removing any nidus for infection or persistent inflammation. Frequent irrigation and extensive peritoneal lavage can remove blood, bacterial soiling, fibrin and necrotic materials, especially in contaminated procedures. In fertility-sparing pelvic surgery, fine and non-reactive synthetic suture materials, such as polypropylene (Prolene®), are preferable to natural products such as silk and gut. Compared to laparotomy, laparoscopic surgery enables surgeons to have a magnified vision of the surgical field and delicate microinstrumentation. The nature of minimal access not only imposes less direct trauma to peritoneum, but also reduces intra-abdominal contact with foreign bodies. Figure 2. Application of Intercoat Gel® to the left ovarian fossa in laparoscopic excision of endometriosis. Adhesion prevention is crucial in fertility-promoting endometriosis surgery, which is one of the procedures carrying high risk of post-operative adhesion formation. As an adjunct to surgical techniques, multiple agents have been investigated to further reduce postoperative adhesions, with varying degree of success. At present, barriers are the only available adhesion-reduction products in clinical practice. These physical separators aim at preventing the two damaged peritoneal surfaces from apposing to each other for at least five days, in other words, during the critical period of peritoneal repair and adhesion development. An ideal barrier should have low rate of peritoneal absorption, high viscosity, absence of side effects and high biocompatibility. These film-form inert barriers can be introduced to the site of trauma, such as over the suture line for myomectomy. The most commonly used site-specific barriers in abdominopelvic surgery include Interceed® (oxidised regenerated cellulose), Gore-Tex® (expanded polytetrafluoroethylene) and Seprafilm® (sodium hyaluronate/carboxymethylcellulose). Among these, Interceed is probably the most popular choice among pelvic surgeons, particularly in laparoscopic procedures. The physical properties of the other products have limited their applicability in routine gynaecological surgery. For instance, the non-absorbable Gore-Tex needs to be sutured in place and removed at a second procedure. Seprafilm does not confirm to the shape of pelvic organs well; therefore, it is mainly used as a barrier between bowel and anterior abdominal wall by general surgeons during laparotomy. Notably, when using Interceed, meticulous haemostasis is instrumental, since adhesion would paradoxically increase in the presence of blood together with Interceed. Gel barriers have been developed to overcome the physical limitations of solid-form barriers in endoscopic surgery. In Australia, two of the more widely available gel barrier systems are Intercoat Gel® (Oxiplex, carboxymethylcellulose [CMC]/polyethylene oxide [PEO] composite gel) and SprayGel® (synthetic polyethylene glycol [PEG] solution).9 Hyalobarrier® gel (auto-cross-linked hyaluronic acid) has been commercialised in European and Asian countries, with promising anti-adhesive efficacy in hysteroscopic10 and laparoscopic11 procedures. Peritoneal instillates work by separating pelvic organs by hydrofloatation. Crystalloid solutions, such as normal saline and Ringer’s solution, have been proven ineffective because of their rapid absorption by the highly permeable peritoneum. Leaving aside the difficulty of monitoring adhesion development with a second-look laparoscopy, one of the key issues in conducting clinical trials is the lack of a standardised adhesion scoring system. There is no simple, reliable and reproducible method to document and compare the extent and density of adhesions. The diversity in study designs and endpoints of evaluation has virtually precluded meta-analysis. More importantly, there is no compelling evidence of improved clinical outcomes with the use of these products in pelvic surgery. In other words, most of the clinical trials merely evaluate anatomical adhesion formation, but not clinically important end points, such as pain, quality of life, pregnancy and live birth rates, bowel obstruction, or re-operative rates. That being said, on the positive side, no significant adverse effects have been reported with the use of these agents. Above all, solid cost-effectiveness data are still lacking to justify the routine use of adhesion-reduction agents. The existing cost-effectiveness analyses were either performed more than a decade ago or based on a healthcare system largely different from the Medicare system in Australia.15 The financial cost would restrict the prophylactic use of adhesion-reduction agents on a routine basis, particularly in a public hospital setting. Numerous medications have been explored, based on their mode of action within the adhesion formation pathway. For instance, non-steroidal anti-inflammatory drugs (NSAIDs), dexamethasone and anticoagulants have been tested in animals in attempts to mediate inflammatory response, reduce fibrin deposition and promote fibrinolysis. Yet, none has been found effective and safe in the clinical setting. With more understanding of the complex adhesiogenic and fibrinolytic pathways, research continues on newer pharmacological agents, but they are still at an experimental stage. In summary, adhesion formation clearly causes significant clinical problems and financial burden, yet its prevention has been highly neglected. Although surgical barriers may help to decrease postoperative adhesion formation, it cannot compensate for poor surgical technique. 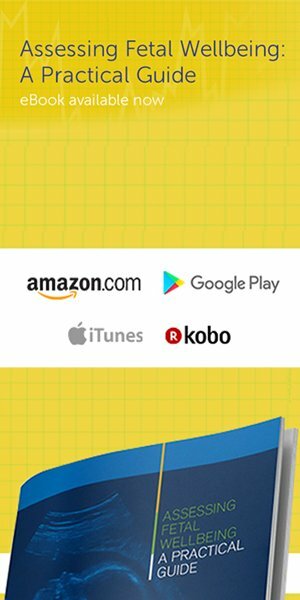 While more evidence on clinical efficacy and cost-effectiveness is needed to justify the routine use of barrier products, adhesion-reduction strategies should at least be implemented in high-risk procedures, such as tubo-ovarian surgery, endometriosis resection, myomectomy and adhesiolysis. As ongoing research continues to unravel the mystery of the adhesion-forming process, more effective anti-adhesion measures and strategies will likely be available in the future. Monk BJ, Berman ML, Monitz FL. Adhesions after extensive gynecologic surgery: clinical significance, etiology and prevention. Am J Obstet Gynecol. 1994 May;170(5 Pt 1):1396-1403. Marana R, Muuzii L. Infertility and adhesions. In: diZerega GS, editors. Peritoneal Surgery. New York: Springer-Verlag; 2000. p.329-333. 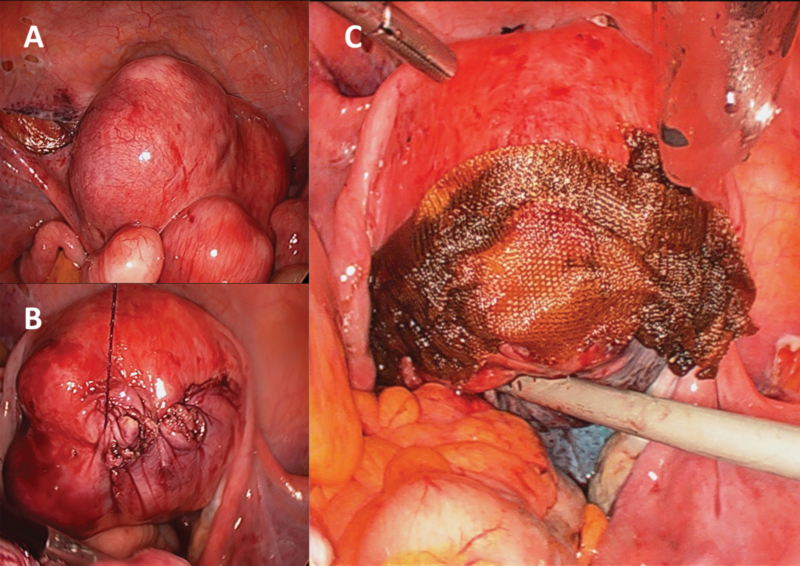 Al-Sunaidi M, Tulandi T. Adhesion-related bowel obstruction after hysterectomy for benign conditions. Obstet Gynecol. 2006 Nov;108(5):1162-1166. De Wilde RL, Bakkum EA, Brölmann H, Crowe A, Koninckx P, Korell M, et al. Consensus recommendations on adhesions (Version 2014) for the ESGE Adhesions Research Working Group (European Society for Gynecological Endoscopy): an expert opinion. Arch Gynecol Obstet. 2014 Sep; 290:581-582. Lower AM, Hawthorn RJ, Ellis H, O’Brien F, Buchan S, Crowe AM. The impact of adhesions on hospital readmissions over ten years after 8849 open gynaecological operations: an assessment from the Surgical and Clinical Adhesions Research Study. BJOG. 2000 Jul;107(7):855-62. Binda MM. Humidification during laparoscopic surgery: overview of the clinical benefits of using humidified gas during laparoscopic surgery. Arch Gynecol Obstet. 2015 Nov;292(5):955-71. 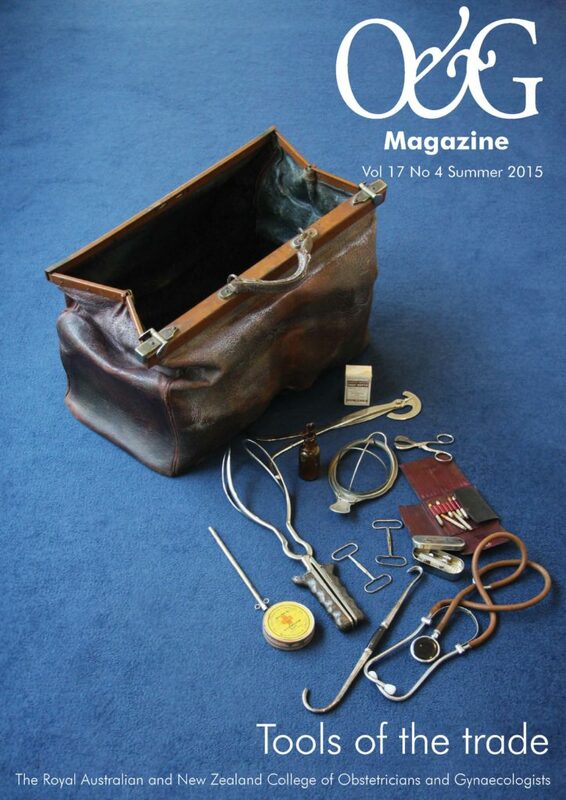 Tulandi T, Al-Jaroudi D. Nonclosure of peritoneum: a reappraisal. Am J Obstet Gynecol. 2003 Aug;189:609-612. Ten Broek RP, Kok-Krant N, Verhoeve HR, van Goor H, Bakkum EA. Efficacy of polyethylene glycol adhesion barrier after gynecological laparoscopic surgery: Results of a randomized controlled pilot study. Gynecol Surg 2012 Feb;9:29-35. Guida M, Acunzo G, Di Spiezio Sardo A, Bifulco G, Piccoli R, Pellicano M, et al. Effectiveness of auto-cross-linked hyaluronic acid gel in the prevention of intrauterine adhesion after hysteroscopic surgery: a prospective, randomized, controlled study. Hum Reprod. 2004;19(6):1461-64. Mais V, Bracco GL, Litta P, Gargiulo T, Melis GA. Reduction of postoperative adhesions with an autocrosslinked hyaluronan gel in gynaecological laparoscopic surgery: a blinded, controlled, randomized, multicenter study. Hum Reprod. 2006;21(5):1246-54. Brown CB, Luciano AA, Martin D, Peers E, Scrimgeour A, diZerega GS, on behalf of the Adept Adhesion Reduction Study Group. Adept (icodextrin 4% solution) reduces adhesions after laparoscopic surgery for adhesiolysis: a double-blinded, randomized, controlled study. Fertil Steril 2007 Nov;88(5):1413-26. Ahmed G, Mackle FL, Iles DA, O’Flynn H, Dias S, Metwally M, et al. Fluid and pharmacological agents for adhesion prevention after gynaecological surgery. Cochrane Database Syst Rev. 2014 Jul 9;7:CD001298. Ahmad G, O’Flynn H, Hindocha A, Watson A. Barrier agents for adhesion prevention after gynaecological surgery. Cochrane Database Syst Rev. 2015 Apr 30;4:CD000475. Cheong Y, Sadek K, Watson A, Metwally M, Li TC. 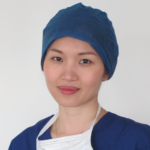 Adhesion reduction agents in gynaecological procedures: can NHS afford it? An economic cost efficacy analysis. J Obstet Gynaecol. 2011 Oct;31(7):631-5. Lundoff P, Brölmann H, Koninckx PR, Mara M, Wattiez A, Wallwiener M, et al. Prediction formation of adhesions after gynaecological surgery: development of a risk score. Arch Gynecol Obstet. 2015 Oct; 292:931-8.